Share snaps to social media! A photobooth is a great way to have guests, clients, fans and customers interacting with an event or brand in a fun and entertaining way. By adding social media, you’re encouraging them to share this fun with all of their friends, family, fans and followers – a simple and effective marketing tool requiring very little effort from you. 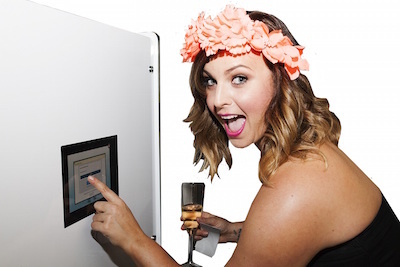 Our photobooths are all built with social media integration in mind, using our own custom-designed software – ‘Snap2Social’. 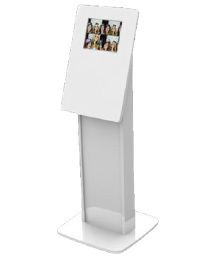 Photosnap can build this functionality into your custom designed photobooth, or we can set you up with a social media kiosk or social media station as a separate piece of equipment, conveniently enabling guests to share photos without interrupting the photobooth fun. Our unique software can even help you collect the demographic information from your event! Brand the photostrips and images with your logo to provide greater marketing reach for your business. Party go-ers love this functionality, and you’ll love the ability to offer more value for your guests as well as the ability to gain a wider reach and social media penetration with our advanced software. So, let’s get social – and make it snappy!